May Flowers Mean Only 1 Thing…SUMMER IS JUST AROUND THE CORNER!!! Has anyone noticed that the camp countdown calendar has gone from over 300 days until camp (in August of 2013) to barely 30 days left (current count)?! That is EXCITING for those of us who wait ALL YEAR for camp days to get underway. It is time to start packing and get ready for the “Dare-to-Explore in 1-4” Summer…we can’t wait to see you in the Northwoods! 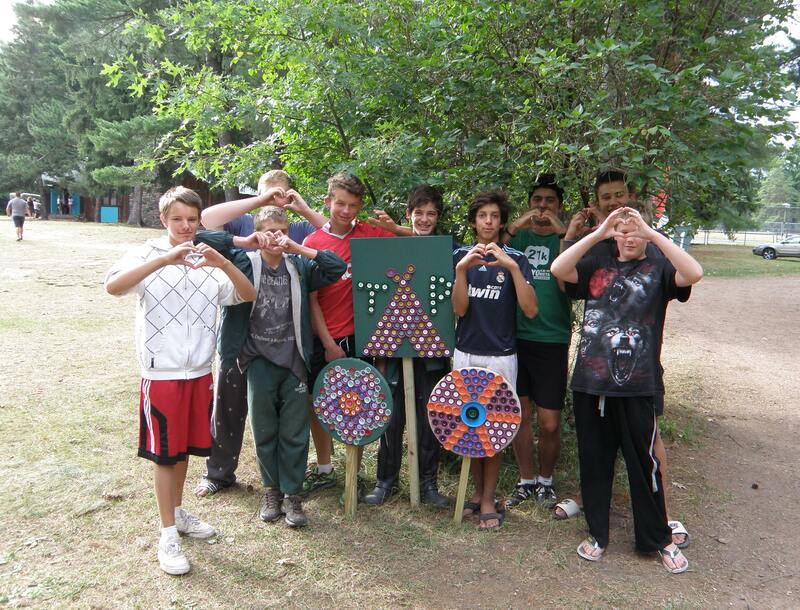 It is interesting to note that this month’s blog sponsor, Cabin 11, was the 2nd oldest camper cabin at camp in 2013. This means that you are looking at some of the next group of CIT’s (Counselors-in-Training) for 2014!! Many of these boys have been at camp for a number of years, some of them have literally “grown up” at Towering Pines. It is fitting that they are posing for the month of “May Flowers” as this group has definitely shown a lot of growth in their journey as campers, and now they will be taking the next step which is designed to help them become future counselors. You will see these boys take numerous leadership roles this summer as they now become part of the equation for making camp “magical” for the younger campers as did the CIT’s before them. The CIT’s will be involved in the day-to-day operations of camp and will take turns ringing the wake-up bell, doing cabin inspection with the nurse, assisting with activities…just to name a FEW! As a group they will take part in a daily leadership training hour with their counselors during the first few weeks of the summer and plan all-camp Sunday events such as Gold Rush or other fun themes. Second year CIT’s have even more responsibility as they live in a camper cabin and assist the senior counselors to make sure things run smoothly with cabin clean-up, rest hour, and bedtime routines. The CIT’s will also put together the highly anticipated “Coed Show” with their counterparts at Camp Woodland. The 2014 CIT’s can’t wait to meet you…see you SOON!!!! p.s. 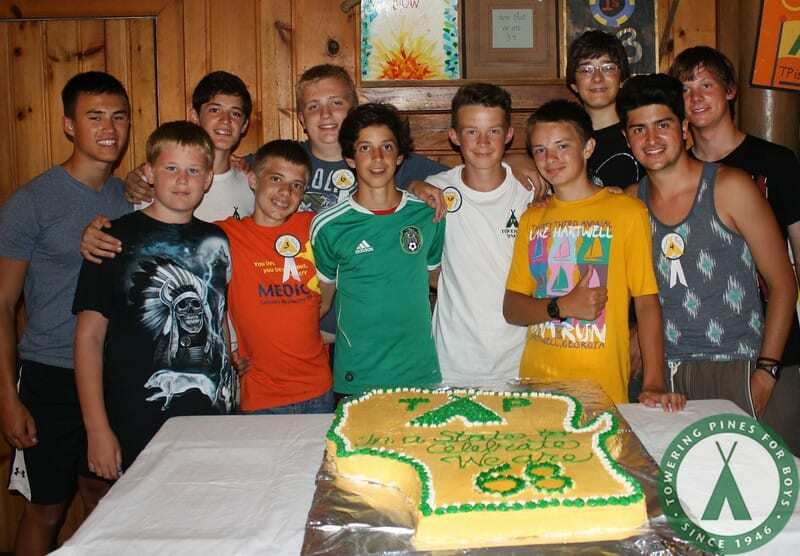 Thank you to Jack Trimpe (soon to be a 1st year Junior Counselor) for his thoughts on “life as CIT” at Towering Pines!